Reading : * . ? For security purposes, please enter the numerical code for verification. online by filling out the form above. Whether in person, by mail or online, the meter reading must be returned promptly to the Town, by October 31st at the latest. All buildings in Kirkland are equipped with water meters that register drinking water consumption. For residential buildings, the base rate for the current year and any excess consumption for the previous year are added to the annual municipal tax invoice. The water tax for multi-family, industrial and commercial properties is invoiced separately, twice a year. 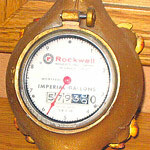 Water meters are generally located in basements near the main water entry or in the garage. 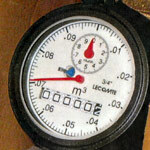 The meter has a lid that must be opened to take the reading of the numbers, which are arrayed like those on a car odometer. 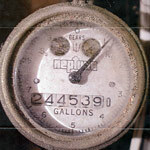 These meters record full gallons only, NO DECIMAL POINTS. They have a permanent 0 printed on the meter. This 0 must also be recorded on your reply slip. These meters record cubic metres using decimals, which are generally in the black squares on the meter. On the form, you must record the figures in the white squares before the decimal point and fill in the black squares with the figures after the decimal point. For all questions regarding water meter reading or water tax bills, please call 514 694-4100, ext. 3119 during regular business hours or email us at taxes@ville.kirkland.qc.ca. Please note that failure to reply will result in a visit from a municipal officer to your home to acquire the information. In addition to the associated fine, our municipal By-Law provides for a fee of $100 to be charged for failure to reply after two consecutive years.